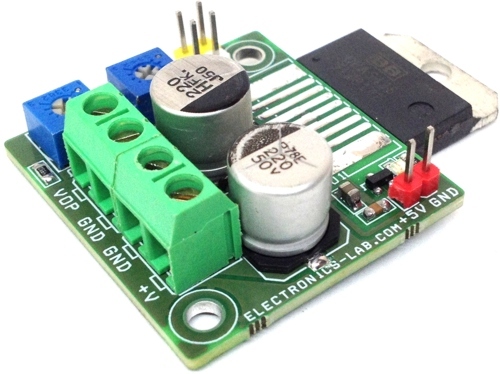 Current sensor amplifier and over current switch project is based on ACS714-30A current sensor and LM358 Op-amp, ½ of LM358 op-amp used as an amplifier for low voltage and 2nd 1/2 LM358 op-amp used as comparator which provides over current TTL output, trimmer potentiometer provided to set the over current limit. 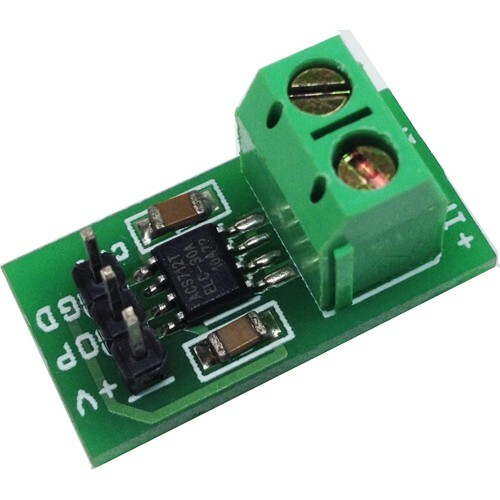 ACS714 sensor measures the current up to +/-30Amps, final output of the amplifier is 235mV/1A, and normally over current output is High-TTL, its goes low once the current over shoot than a set point. 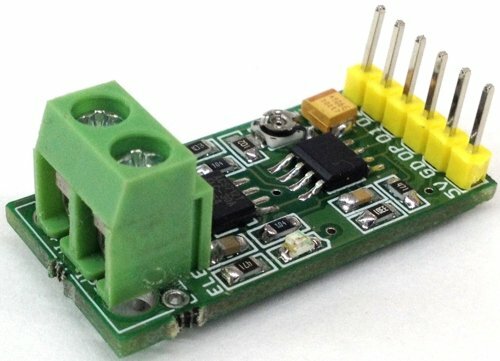 Circuit requires 5V DC and 40mA, Onboard LED indicates the power. Resistor divider R1, R3 provides bus voltage output for micro-controller interface to measure the bus voltage, choose appropriate value for R3, R1 as per your application and bus voltage, it’s should be less than 5V DC. The Allegro™ ACS714 provides economical and precise solutions for AC or DC current sensing in automotive systems. The device package allows for easy implementation by the customer. Typical applications include motor control, load detection and management, switch-mode power supplies, and overcurrent fault protection. The device consists of a precise, low-offset, linear Hall circuit with a copper conduction path located near the surface of the die. Applied current flowing through this copper conduction path generates a magnetic field which the Hall IC converts into a proportional voltage. 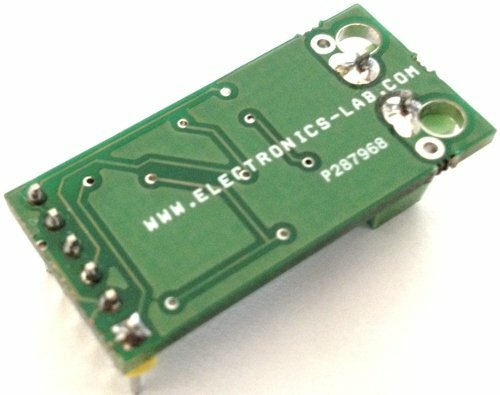 Device accuracy is optimized through the close proximity of the magnetic signal to the Hall transducer. 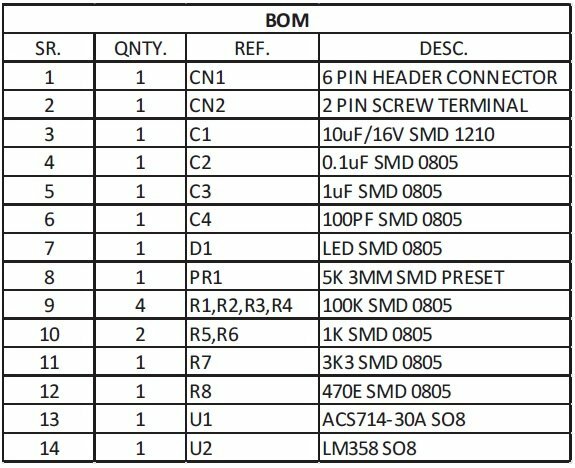 A precise, proportional voltage is provided by the low-offset, chopper-stabilized BiCMOS Hall IC, which is programmed for accuracy after packaging. The output of the device has a positive slope (>VIOUT(Q)) when an increasing current flows through the primary copper conduction path (from pins 1 and 2, to pins 3 and 4), which is the path used for current sampling. 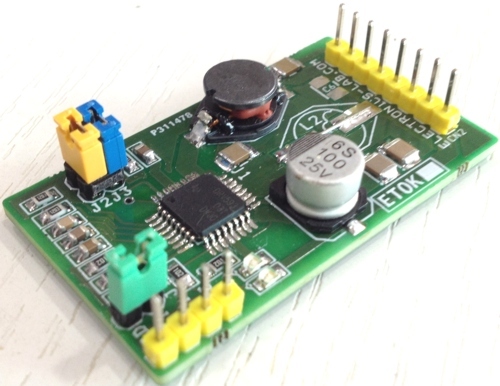 The internal resistance of this conductive path is 1.2 mΩ typical, providing low power loss. The thickness of the copper conductor allows survival of the device at up to 5× overcurrent conditions. Vop will increase 235mV per A measured, so for 1mA the output should be 235uA which is below the noise of 7mV for this IC. You probably need to look for another solution for such low current.